Corpdata’s GDPR safe to use business lists help you win new customers and so boost the health of your enterprise. During November all qualifying orders might just lift your health and efficiency too. The right people, in the right jobs, working in the right places and then only targeting people who express a positive preference for contact ensure your direct marketing delivers the very best performance. Throughout November, not only choose your best prospects but also keep on your toes with a Standing Desk Converter allowing you the healthy choice of switching between working sitting down or standing up. Just quote ‘OUTSTANDING’ when ordering. Standing desks and Corpdata marketing data share key features; they both improve efficiency and reduce risks. One reduces risks to your health, the other reduces the risk of GDPR problems. (see T&Cs which apply). ‘Order value’ is defined as the total net value of the products purchased from Corpdata in a single transaction, after deducting any discounts and before VAT is added. An order is a single order. Single orders cannot be combined or aggregated. To qualify orders must be paid for within terms of your invoice. Orders must be placed between 0900 1st November 2018 and 1730 30th November 2018 (times GMT). 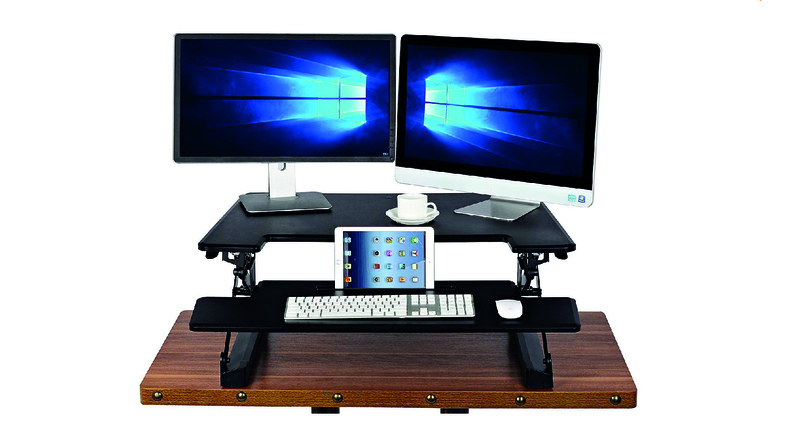 ‘Qualifying orders for Standing Desk Converter are orders with an ‘Order Value’ of equal or greater than £1500 (see 1). Before despatch we require you confirm you are receiving any item on behalf of your Company. Should it become necessary Corpdata retains the right to substitute an alternative but similarly specified item. There is no cash alternative or any option to exchange for an alternative item. Whilst we cannot guarantee dispatch of any item to your Company during December we will endeavour to ensure any qualifying orders are fulfilled as soon as possible. You must quote ‘OUTSTANDING’ at the time of ordering to be eligible.